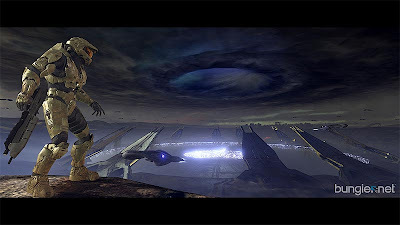 CrazyKinux's Musing: The Halo virus has struck! Wow, another week gone by and still no post. What the hell is going on you maybe asking yourself? Well on September 25th, last Tuesday, Halo 3 came out, and I've been victim of this virus since then! Seems I'm not the only EVE player who's been struck down! Though I'm really into it, and won't be able to finish the game in one sitting, like of you out there, I'll be playing on and off EVE until then. So in the mean time, please bare with me. Please! Well there goes any and all respect i might have had for you playing a sub-par fps as such and actually having it pull you away from EVE. You could have at least said some great game pulled you away from EVE like BioShock or SupCom or fps wise UT3 beta or something. Eh, what can I say, the game is addictive! I've been debating between an xbox and new computer, the price would be about the same, as of course I'd need a new tv with the xbox. So I've got some time to decide as I put away money. It may come down to the next Grand Theft Auto though, I originally bought the PS2 because of GTA: Vice City. I would probably choose the PC upgrade now, and wait a bit for the Xbox 360 til Xmas since it most likely will come down in price. As for a new TV, I'm still on my 6 year old Flatscreen Sanyo which is not HD, so I fail to understand why you'd need a new TV. Unless it's really old. I plan to get an HDTV later next year most likely. Sorry to hear about the car repair, bummer! Think of it this way, when you finally get the new HDTV for your 360, it'll be like getting a whole new console with new graphics capabilities!